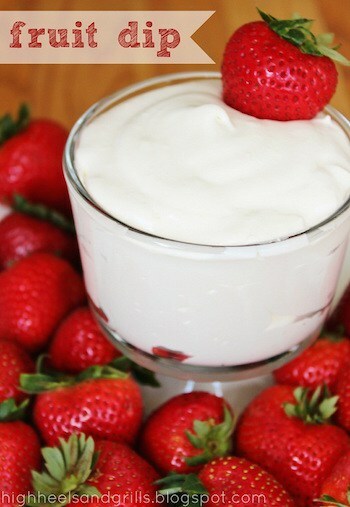 This STRAWBERRY CHEESECAKE DIP is an incredibly easy appetizer or dessert. It is perfect for parties and everyone you know will love it! I don’t know about you, but I’m a dip person. Whether it is sweet or savory, I love just about any dip out there! My favorite is the sweet and salty combo, but I’ll take just about anything. 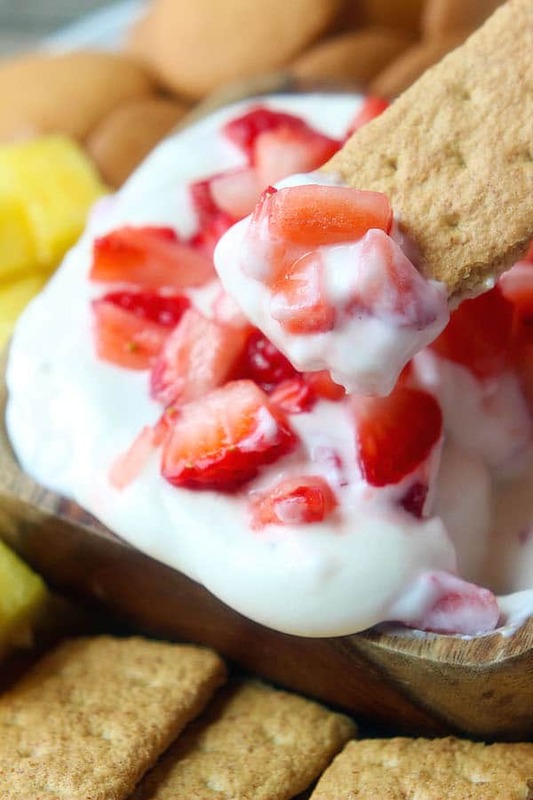 This Strawberry Cheesecake Dip fits the bill for just about any craving. The freshness from the strawberries, the saltiness from the cream cheese and the sweetness from the whipped cream makes it great for just about anyone! Not to mention, it can be eaten with fruit, graham crackers, or pretzels, which make it even more adjustable to different tastes. Also, did I mention that it tastes like cheesecake? I have only met one person in my life that doesn’t care for cheesecake. And that would be my husband. How we ended up together, I will never know because that one thing alone couldn’t be farther from my taste in desserts. I will eat just about any type of cheesecake, but my favorite is any kind with caramel in it. 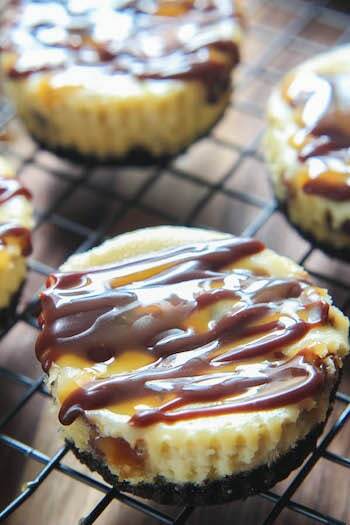 Which is why the Mini Twix Cheesecakes that I have listed below are my ultimate favorite! 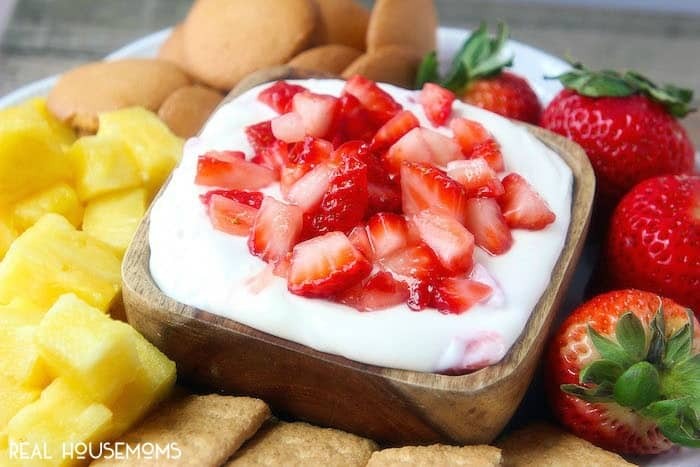 However you like your cheesecake, this Strawberry Cheesecake Dip will be a hit with whoever you serve it to. Or if you are like me, you can just spoon it out of the bowl yourself and binge watch movies on Netflix. Enjoy! With an electric mixer, beat the whipping cream until soft peaks form. Add 1 tsp. powdered sugar and continue beating until stiff peaks form. Set aside. In a large bowl, beat the cream cheese and 1 cup powdered sugar until smooth. Fold the whipped cream into the cream cheese mixture until fully combined. Carefully mix in 1 cup of strawberries. In a small bowl, combine the remaining 1/2 cup strawberries with the teaspoon of sugar. Mix and let the strawberries sweat for a minute or so. 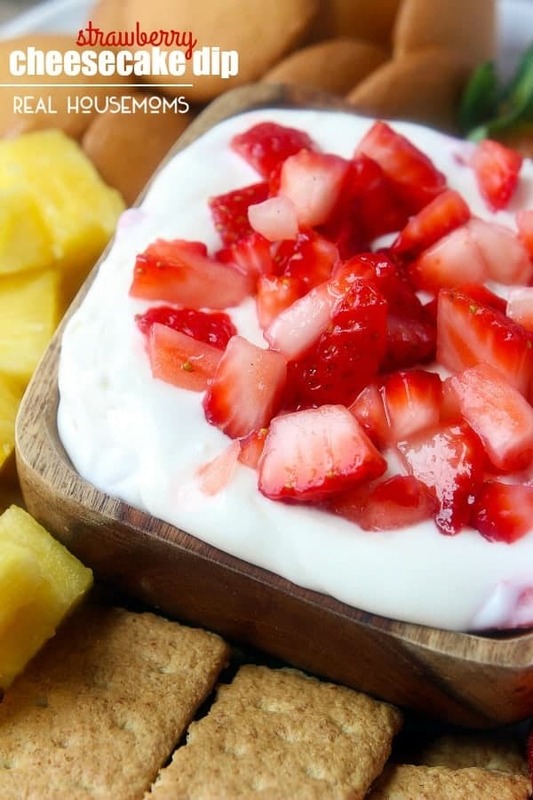 Top the cheesecake dip with the sugared strawberries.